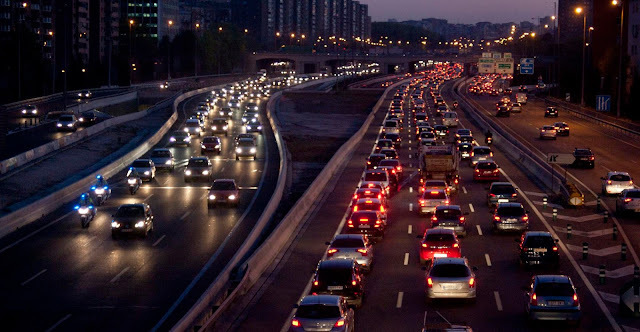 Big Data & Data Science Blog: Commuter Traffic: Can Big Data solve the problem? Commuter Traffic: Can Big Data solve the problem? By Javier Carro and Pedro de Alarcón, Data Scientists at LUCA. When we sit in our daily traffic jams, many of us may think: Where do the other commuters come from? Where are they on their way to? Are we all going in the same direction? Perhaps the lady who sat in the car next door actually lives 2 doors away and has the exact same commute as me everyday. Here at LUCA, we decided to take a data-driven approach by looking at our mobile data insights to show you the huge potential of carsharing, demonstrating that us commuters have a lot more in common than you may think. Figure 1: How can Big Data enable us to encourage carsharing between commuters? In this analysis we decided to use Smart Steps to have a social impact, looking at how our product could contribute to sustainability goals. First of all, we perform pre-processing on our anonymized raw data in order to provide useful information in a recurrent way. An example of this is the assignment of POIs (points of interest) which can be either "work" or "home". As you can imagine, these POIs are calculated based on mobility patterns. So, we began to think about use cases related to the sharing economy, public transport planning, environmental impact and infrastructure construction. In the end, we decided to focus our analysis on a typical day in Madrid, which suffers tremendous traffic jams in rush hour (as in many cities) and has recently been affected by considerable pollution issues. Deciding how to address such problems is a real challenge for the authorities, so we have developed a simple tool which explores how many people share both their home postcode and their work postcode. Figure 3: Density distribution of workers in Madrid. Figure 4: Where do people commute from to the Telefónica Headquarters postcode? Fully engaged by this part of the analysis, we decided to build a simple dashboard which is able to show the home-to-work relationships between all postcodes in Madrid. By doing so, we ended up creating a tool which could help us to, for example, find carsharing partners who share both home and work postcode on a daily basis, providing a unique opportunity for companies and the public sector to encourage this green initiative (we'll elaborate on this next week in a more specific post on carsharing). Video 1: How many people share home and work postcodes? How many people move in and out of the centre of Madrid? 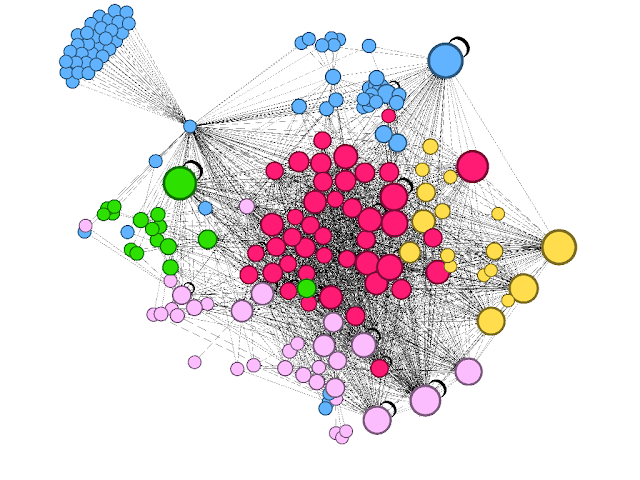 Figure 5: We used Gephi to detect 5 communities of highly connected postcodes. Figure 6: Left: Coloured groups of postcodes according mobility correlation (communities). Right: For each community, there are postcodes which show higher activity and therefore act as “poles of attraction” for their community. As you can see in figure 6 and the second video, there are very clearly defined mobility areas, and in general, people appear to live and work in the same area (North, East, South, Central and West) as the colours are relatively compact. This is beneficial for the quality of our air as it implies shorter journeys to work. However, there is an exception with the “blue” community (Madrid East also know as “Corredor de Henares”) as it shows a much sparser pattern than the others. Video 2: How do we identify connected communities? Another interesting approach is to investigate the “poles of attraction” of each community, that is, postcodes with the highest number of commuters within its community (the biggest circles in the Gephi graph and map in figure 5), which are really the “busy areas” of each area. This is also demonstrated in our second video. Of course, our analysis is a relatively simple and straightforward approach to what could be a much more complete tool. There is plenty of fine tuning to be done, including greater capabilities and more extensive data which could complete the analysis. However, it is a first step in understanding how individuals, companies, NGOs, public administrations could use this data to improve our lives in an anonymized and aggregated way - prioritising security every step of the way. After reading this, do you have further ideas on how to apply our data? Let us know by dropping us an email here or commenting on this post. We'd love to hear from you. There is great value mapping intrinsically connected communities. We did similar work with mobile data for the Estonian Ministry of Regional Development back in 2010: http://www.tandfonline.com/doi/abs/10.1080/17445647.2012.762331 The question was whether development should be seen as something to be done within strict administrative borders. Or should people's own activities determine the functional regions that should be looked as a whole. This leads to a more focused effort on community investment - making sure that each functional community has enough hospitals, schools, extracurricular activity spaces, even shops. It is also important to look at this data separately by age group.